Watch for = dates or information TBC. For 2016 events, please click here. Outspoken, Maleny, QLD. Gen lit author talks. Riverbend Poetry Series, Brisbane, QLD. Poetry readings. ALSO keep an eye out for a strong program of author visits and events throughout the year. Association for the Study of Australian Literature has academic symposiums through the year. Whispers, a free monthly series of author readings at various venues in Brisbane, is hosted by Queensland Writers Centre. Poetry at The Gods, a monthly reading series at The Gods Cafe, ANU, Canberra, ACT. The Melbourne Literary Salon meets the first Tuesday of the month in a city cafe. The Australian Bush Poets Association maintains a list of events for bush poets, at times run in conjunction with other festivals. Melbourne’s Crime and Justice Festival has events throughout the year as well as its annual fest. The South Australian Readers and Writers Festival is a series of events running for 12 months from July 2015, organised by the City of Onkaparinga. Words by the Bay: Bayside Literary Series, Bayside, VIC. A series of talks, workshops and launches throughout the year. Do check writers’ centres for event information. These are some who organise public events: ACT, NSW, QLD, WA (also see proximityWA), SA, NT, VIC, TAS, Katharine Susannah Prichard (Perth, WA), Northern Rivers (Byron Bay, NSW), Varuna (Blue Mountains, NSW). An array of international book fairs, major Australian competition deadlines, and core book events are listed here. Jan 9-11: 2high Festival, Brisbane, QLD. Arts fest inc. theatre, spoken word. Jan 10: SCBWI Books From Your Backyard, Perth, WA. Childrens. Jan 15-18: Bruny Island Festival of Children’s Literature, Bruny Island, TAS. Children’s and YA. Jan 20-23: Australian Theatre Forum, Sydney, NSW. Theatre. Feb 2-5: Australian Library and Information Association Information Online Conference, Sydney, NSW. Industry. Feb 11-22: Digital Writers Festival, Melbourne, VIC. Gen. lit. Feb 12-17: Banjo Paterson Festival, Orange, NSW. All things Banjo, especially poetry! Feb 14: Poetry d’Amour, Perth and Mandurah, WA. Readings of love poetry. Feb 24: Woollahra Poets’ Picnic, Sydney, NSW. Poetry, spoken word. Feb 28 – Mar 5: Adelaide Writers Week, SA. General lit. Mar 5-6: Storylines Literary Festival, Perth, WA. YA. Mar 6-8: Australian Romance Readers Convention, Canberra, ACT. Romance. Mar 6-8: Jugiong Writers’ Festival, Jugiong, NSW. General lit. Mar 8-11: Emergence creative festival, Margaret River, WA. Multi-media, cross-disciplinary. Mar 13-22: Anywhere Theatre Festival, Mackay-Isaac, QLD. Poetry, drama, performance. Mar 14: NSW Writers Centre Poetry and Spoken Word Festival, Sydney, NSW. Poetry, performance. Mar 18-20: Somerset Celebration of Literature, Gold Coast, QLD. Children’s, YA, school focus. Mar 20-22: Newcastle Writers Festival, NSW. Gen. lit. Mar 20-22: Historical Novel Society Australasia (HNSA) Conference, Sydney, NSW. Historical fiction. Mar 20-22: Noted Festival, Canberra, ACT. Experimental, general lit., includes digital stream. Mar 29: Ipswich Poetry Feast, Ipswich, QLD. Poetry. Apr 2-6: Swancon, Perth, WA. Spec fic. Apr 10-12: Supanova, Melbourne, VIC. Pop culture. Apr 10-12: Jane Austen Festival Australia, Canberra, ACT. All things Jane. Apr 10-19: National Youth Week, various. Youth. Apr 11: Aurealis Awards, Canberra, ACT. Genre awards night. Apr 11-12: Oz Comic-Con, Perth, WA. Pop culture. Apr 15-17: Mandurah Readers and Writers Festival, Mandurah, WA. Gen. lit, schools component. Apr 17-19: Supanova, Gold Coast, QLD. Pop culture. Apr 18-19: Oz Comic-Con, Adelaide, SA. Pop culture. Apr 23-26: Eye of the Storm, Alice Springs, NT. Gen lit. May 1-3: Melbourne Art Book Fair, Melbourne, VIC. Art books, industry. May 1-3: Newstead Short Story Tattoo, Newstead, VIC. Gen. lit. May 2-3: Clunes Booktown Festival, Clunes, VIC. Gen. lit. May 6-9: Write Edit Index, incorporating the National IPEd Editors’ Conference, Canberra, ACT. Business side for publishers, editors, indexers. May 7-24: Anywhere Theatre Festival, Brisbane, QLD. Poetry, drama, performance. May 8-17: Anywhere Theatre Festival, Parramatta, NSW. Poetry, drama, performance. May 9: Naughty Sinners Book Bash by the Beach, Sunshine Coast, QLD. Romance book mass signing. May 11-15: #TwitterFiction Festival, international. Gen. lit., Twitter-based story sharing. May 15-17: Two Fires Festival, Braidwood, NSW. Inspired by Judith Wright; activism and arts/lit. May 16-17: Bundy WriteFest, Bundaberg. General lit. May 16-19: Varuna-Sydney Writers Festival, Katoomba, NSW. Gen. lit. May 17-18: Australian Booksellers Association Conference and Trade Exhibition, Melbourne, VIC. Industry. May 18-24: Sydney Writers’ Festival, NSW. General lit. May 21-24: Savannah Writers Voices Up North, Townsville, QLD. Gen. lit. May 26 – 5 June: Emerging Writers Festival, Melbourne, VIC. Gen. lit. May 27: National Simultaneous Storytime, national. Childrens reading initiative. May 29-31: Margaret River Readers & Writers Festival, WA. Gen. lit. May 29-31: Yamba Writers Festival, Yamba, NSW. General lit. May 31: Writing Matters, Melbourne, VIC. YA, general literature. Public component in tandem with Reading Matters. Jun 1-30: Monash WordFest, Melbourne, VIC. Gen. lit. series of events. June 3-6: Her Majesty’s Really Great Graphical Festival, Hobart, TAS. Zines, comics, illustration. June 4-8: Henry Lawson Festival, Grenfell, NSW. All things Lawson. June 5-7: Batemans Bay Writers Festival, Batemans Bay, NSW. General lit. June 5-8: Continuum, Melbourne, VIC. Spec fic. June 6-8: Woodend Winter Arts Festival, Woodend, VIC. General lit. June 6-9: Bellingen Writers Festival, Bellingen, NSW. Australian general lit. June 13-14: Williamstown Literary Festival, Williamstown, VIC. General lit. June 14: Literary Luncheon, Gold Coast, QLD. Gen. lit. June 19-21: Supanova, Sydney, NSW. Pop culture. June 26-28 Supanova, Perth, WA. Pop culture. June 27-28: Oz Comic-Con, Melbourne, VIC. Pop culture. Jul 1-31: Monash WordFest, Melbourne, VIC. Gen. lit. series of events. Jul 3-5: Bundy Bush Poetry Muster, Bundaberg, QLD. Jul 4: Children’s and Young Adult Writers and Illustrators (CYA) Conference, Brisbane. Children’s and YA. Jul 10-12: Southern Highlands Writers’ Festival, Bowral, NSW. General lit. Jul 11-12: Telling Tales in Balingup, Balingup, WA. School kids 4-14. Jul 15-18: Whitsunday Voices Youth Literature Festival, Mackay, QLD. Children, YA, schools. Jul 16-17: Voices on the Coast, Sunshine Coast, QLD. YA. Jul 16-19: Mildura Writers Festival, Mildura, VIC. General lit. Jul 16-26: Rare Book Week, Melbourne, VIC. Gen lit., sales. Jul 17-18: Burdekin Readers and Writers Festival, Ayr, QLD. Gen. lit. No website. Watch library website. Jul 17-26: Noosa Long Weekend, Noosa, QLD. Gen lit stream. Jul 18: NSW Writers Centre Speculative Fiction Festival, Sydney, NSW. Spec fic. Jul 21: A Day of Literary Feasting, Nedlands, WA. Gen. lit. Jul 22: Canberra Readers, Writers & Storytellers Festival, Canberra, ACT. Gen. lit. Jul 22-25: National Play Festival, Adelaide, SA. Theatre. Jul 27 – Aug 8: Yellamundie National Aboriginal and Torres Strait Islander Playwriting Festival, Eveleigh, NSW. Plays. Aug 1: Monash WordFest, Melbourne, VIC. Gen. lit. series of events. Aug 1-31: Imagine August, all Logan libraries, QLD. Series of events, speculative fiction. Aug 1-31: Words in Winter, Daylesford and surrounding towns, VIC. Series of general lit events. Aug 4-6: Freelance Focus, Brisbane, QLD. Industry focus, non-fiction, journalism. Aug 7-9: Bendigo Writers Festival, Bendigo, VIC. General lit. Aug 7-9: Byron Bay Writers Festival, Byron Bay, NSW. Gen. lit. Aug 7-9: Corrugated Lines, Broome, WA. Gen. lit. Aug 8: National Bookshop Day. Events around the country to encourage book buying. Aug 8-9: Mudgee Readers’ Festival, Mudgee, NSW. General lit. Aug 13-16: Perth Poetry Festival, Perth, WA. Poetry. Aug 16: Warm Winter Words, Apollo Bay, VIC. Gen. lit. Aug 18: National Reading Hour, nationwide, 6-7pm. Events to celebrate reading. Aug 20-30: Melbourne Writers Festival, Melbourne, VIC. General lit. Aug 21-23: Romance Writers of Australia conference, Melbourne, VIC. Romance. Aug 21-23: Zine and Comic Symposium, Brisbane, QLD. Zines and comics. Aug 21-30: Salisbury Writers’ Festival, Salisbury, SA. General lit. Aug 21 – Sep 6: Anywhere Festival, Frankston, VIC. Spoken word, poetry, performance, theatre. Aug 22-28: Book Week, national school-based events hosted by Children’s Book Council of Australia. Aug 25: Queensland Business Writers’ Conference, Brisbane, QLD. Corporate. Aug 25-27: Ashgrove LitFestival, Ashgrove, QLD. Gen. lit, school-hosted. Aug 28-30: Queensland Poetry Festival, Brisbane, QLD. Poetry. Aug 28-29: Australian Medical Writers Association Conference, Brisbane, QLD. Medical. Aug 28-29: First Nations Australia Writers Network National Workshop, Melbourne, VIC. First Nations, industry. Aug 29-30: Sugar City Con, Mackay, QLD. Pop culture. Aug 29-30: Sydney Jewish Writers’ Festival, Sydney, NSW. General lit. Sep 1-11: Poetry on the Move, Canberra, ACT. Poetry. Sep 2: Indigenous Literacy Day, nationwide. Aboriginal and Torres Strait Islander focus. Sep 2-6: Brisbane Writers Festival, Brisbane, QLD. General lit. Sep 5-16: StoryArts Festival Ipswich, Ipswich, QLD. Childrens and YA focus. Sep 7-14: Central Queensland Literary Festival, Rockhampton, QLD. Schools focus, general lit. Sep 9-13: Write Around the Murray, Albury, NSW. Gen. lit. Sep 10-12 : Australian Society of Authors National Writers’ Congress, Sydney, NSW. Gen lit. Sep 11-13: Ex Libris Port Fairy Festival of Words, Port Fairy, VIC. General lit. Sep 11-13: Tasmanian Writers Festival, TAS. General lit. Sep 11-13: Word for Word: National Non-Fiction Festival, Geelong, VIC. Uni-run, creative non-fiction, non-fic. Sep 11-13: Kimberley Writers Festival, Kununurra, WA. General lit. Sep 12: New Norica Writers Festival, New Norica, WA. Gen. lit. Sep 18-19: Rose Scott Women Writers’ Festival, Sydney, NSW. Gen. lit, by women. Sep 18-20: Avon Valley Writers Festival, Toodyay and Northam, WA. Gen lit. Sep 18-20: St Albans Writers Festival, St Albans, NSW. Gen. lit. Sep 18-20: Whitsunday Writers Festival, Airlie Beach, QLD. Gen. lit. Sep 19-20: Oz Comic-Con, Brisbane, QLD. Pop culture. Sep 26-27: Oz Comic-Con, Sydney, NSW. Pop culture. Sep 27: Writers in the Park, Sydney, NSW. Children’s, gen. lit. Sep 28 – Oct 3: Comic Con-versation, Sydney (5 libraries), NSW. Comics, graphic novels. Oct 1 – 20 Dec: Write Along the Highway, various locations, WA. Gen. lit., writing (NaNoWriMo focus). Oct 1-4: National Young Writers Festival. Newcastle, NSW. Focus on writers 18-35. Oct 2-5: Conflux, Canberra, ACT. Spec fic. Oct 3: Coal Creek Literary Festival, Korumburra, VIC. Gen. lit. Oct 3-5: Scone Long Literary Weekend, Scone, NSW. Gen. lit. Oct 16-17: Gollancz Festival, online, UK based. ANZ spec fic authors join virtual writers’ festival anchored in the UK. Oct 17-18: CJ Dennis Festival, Toolangi, VIC. Poetry. Oct 17-18: Book Expo Australia, Sydney. Marketplace. Oct 17-18: Australian Movie and Comic Expo, Melbourne, VIC. Pop culture. Oct 24: City of Rockingham Writing and Reading Expo, WA. Gen lit. Oct 25: Home Grown Literary Festival, Hervey Bay, QLD. Gen. lit. No website: try Fraser Coast libraries. Oct 30 – Nov 1: GenreCon, Brisbane, QLD. Genre fiction. Oct 30-31: Celebrate Reading National Conference, Fremantle, WA. Children’s,.YA. Oct 31 – Nov 1 CANCELLED: Romancing the Snowy, Jindabyne, NSW. Romance. Nov 6-8: Sydney Freecon, Sydney, NSW. Speculative fiction. Nov 7: NSW Writers Centre Creative Non-Fiction Festival, Sydney, NSW. Creative non-fiction. Nov 8: Writers Group Convention, Brisbane, QLD. Writing. Nov 12-13: Storyology, Sydney, NSW. Media focus. Nov 12-15: Crime and Justice Festival, Melbourne, VIC. Non-fic, crime fiction component. Nov 14: Toowoomba Writers’ Festival, Toowoomba, QLD. General lit, workshops. Nov 14: Writers Unleashed (Sutherland Shire Writers Festival), Gymea, NSW. Gen. lit. Nov 19-21: Independent Publishing Conference, Melbourne, VIC. Indie publishing. Nov 19-26: untitled Literary Festival, Stonnington, VIC. Gen. lit. Nov 20-22: Supanova, Adelaide, SA. Pop culture. Nov 21: Sports Writers Festival, Melbourne, VIC. Sports writing (precursor event). Nov 27-29: Supanova, Brisbane, QLD. Pop culture. Nov 28-29: Clare Writers’ Festival, SA. Gen lit, strong on genre. 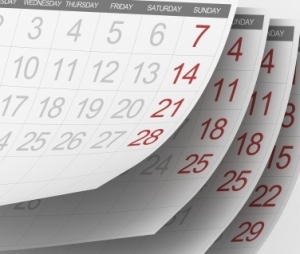 Please check the 2016 calendar for 2016 and later events. Brilliant. Thank you for sharing this. Thanks for taking the time to leave a comment, Tanya! Glad the calendar is useful! Thanks, Cat: on to it! This is a useful resource. Thank you. Thanks for leaving a note, Penelope! Brilliant! This is excellent. Thanks Jason, I can see you spent a fair bit of time putting this together. Cheers, Lynne. Glad you found it helpful. As you can see, quite a few more to be confirmed or otherwise, and always new ones on the move! Update to Toowoomba Writers’ Festival dates. Nov 14, 2015. Not sure if there’ll be a poetry workshop this year or not. Clumsy of me, wasn’t it? Amendment in progress! Jason, I hope you don’t mind but I’ve added this fab list to the reference links on the Ormiston Press website. http://www.ormistonpress.com/#!resources/cubn Heavens forbid you ever stop updating the list! Happy Friday! Thanks for listing the Williamstown Literary Festival – very much appreciated! It’s a great event, happy to have it here! Thanks for spreading the word — glad it’s useful! Glad it’s helpful, Laura! I appreciate your taking the time to leave a comment!